Running out of ideas on what to get the kids for Christmas? Whether you’re a parent, a grandparent, auntie or uncle, the Junior ISA (JISA) is a great gift that helps support your children, grandchildren or nieces and nephews to have a healthy financial future. As we countdown to Christmas, many of us start to feel the pinch. Come January we’re wishing we’d saved a bit more to cover the next month (or months) – whether it’s for the unexpected or a specific life event, or just the cost of daily living. We tend to overspend at Christmas, often leaving us to struggle with other things we need to pay for. 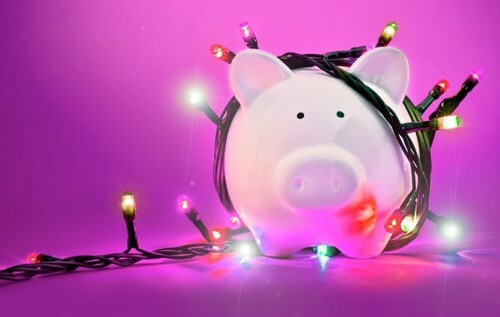 Like the Ghost of Christmas Yet to Come, you can foresee the same for your children as they grow up – and the future holds many more financial difficulties for the next generation. Setting them up with a savings account is a great way to help your children build healthy savings habits that will support them in the future. A Junior ISA lets you save and invest on behalf of a child under 18. Savings are tax free and you can save up to £4,260 per tax year for each of your children. Remember, investments can go down as well as up, so you may get back less than you put in. As a rule of thumb, you should invest for at least 5 years in order to ride out the inevitable ups and downs of the stock market. It’s also important to diversify, which means investing across a range of different funds so that you don’t have all your eggs in one basket. Our readymade SmarterMix portfolios do this for you automatically. *Based on historic performance from April 2000 to April 2018 – Cash modelled via BlackRock Cash D Acc. **Based on historic performance from April 2000 to April 2018 – FTSE 100 modelled via HSBC FTSE 100 Index C Acc. We offer Junior Investment ISAs. You choose the funds you want to invest in using our comparison tables, made up of over 1,000 funds and 90 fund managers; or we provide readymade portfolios based on your risk appetite. Portfolios can be spread over a range of different fund managers to control investment risk, keep costs low, and allow for potentially higher returns in the long run over cash savings alternatives. We’ll also be bringing out a Junior Cash ISA in the New Year. This year, in the spirit of giving, consider the gift of saving for your children. The Ghost of Christmas Future will thank you for it!